Ready for the first pull of 2017! 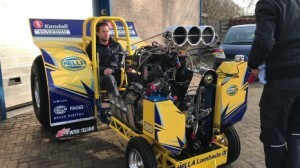 The Hella Lambada IX is ready for the first pull of the season at the IJsselhallen Zwolle. Look at the first movie from the startup!